But we all say “wow!” when the full, rich blooms open at this time of year! My two “Blended Beauty” dahlias did really well, and I have faith that my other two plants! They’re just late-bloomers, is all. Those little pink blooms came back a bunch of times this summer. Not sure exactly what they are (help?) but they surprised me again and again! 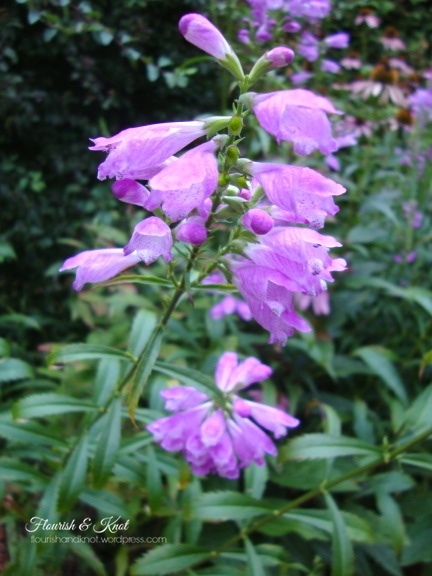 Go little pink flowers, Go! I know what you’re thinking, though: “when is she going to tell me about the Dahlia Dip??! !’ Hang on to your pruning shears because the Dahlia Dip is a non-stop, action-packed, splash-inducing relay race! But why the “dahlia” part, you ask? The crux of the race is that the swimmer must carry a dahlia in their mouth from one end of the pool to the other. 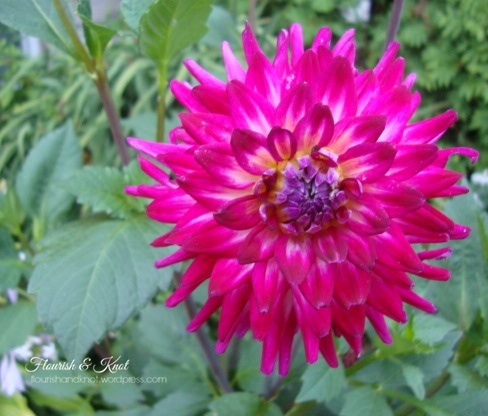 That swimmer must then pass the dahlia to the next teammate without using their hands. Yes, you heard right. 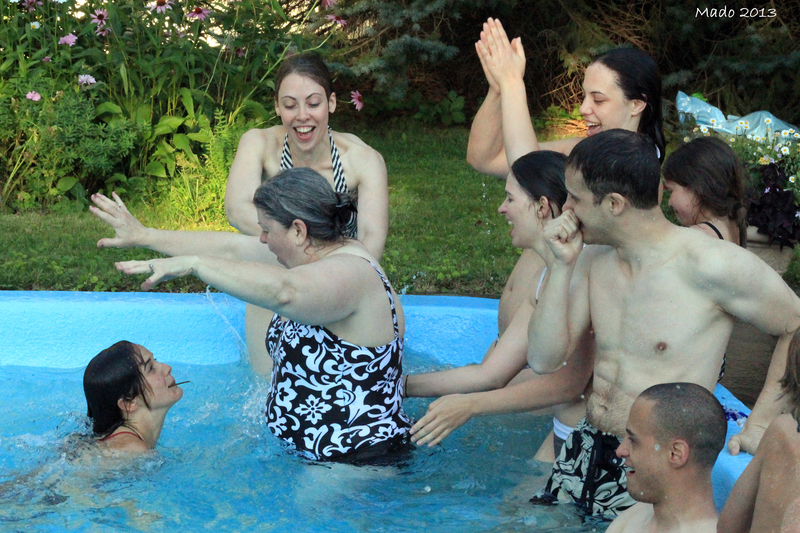 My family makes its own fun! And as you can see, we take the Dahlia Dip VERY seriously. 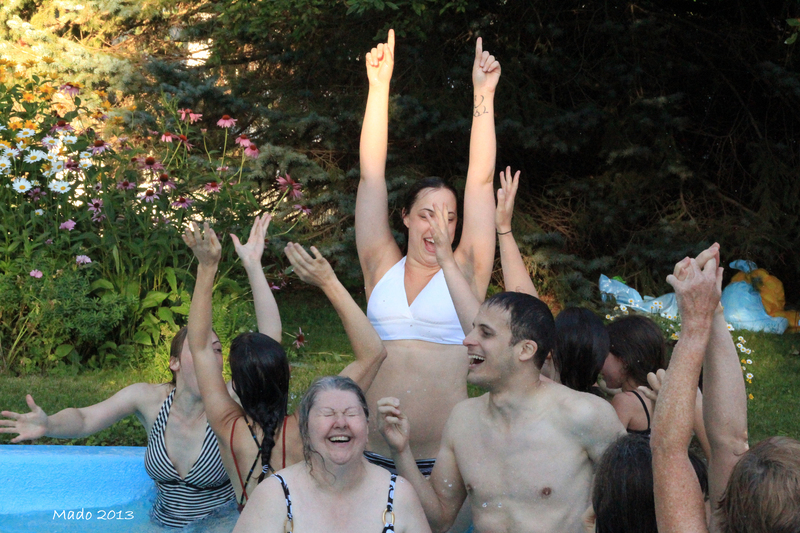 Such good times, at the annual Dahlia Dip! I’ve missed doing it this year! Me too – I can’t believe that just digging them up to store them will allow them to bloom all over again next year! Gardening in Canada certainly is an adventure! Beautiful dahlias, and what fun with the dahlia dip :). I too just love those gorgeous blooms, some as large as dinner plates. I think the plant that you’re questioning might be dianthus? 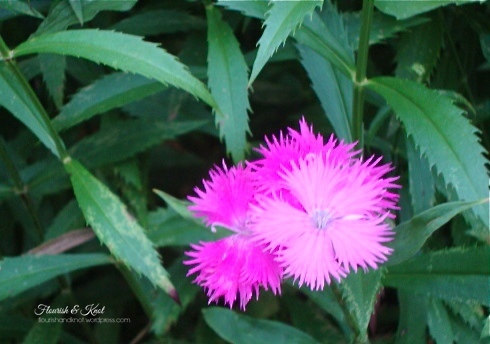 Yeah, I think you’re right about it being dianthus. Thanks so much! I love dahlias too. I am collecting many varieties, but that gloriosa is on my list for next year. I think you have good taste in flowers. You’ll have to let me know how the gloriosas turn out next year! A blog is a lot of work, but I like the wordpress site because you don’t have to know a lot of coding to get a good-looking blog. I think the trick is to put as much “meat” into your blog as possible – content-driven blogs tend to be more interesting and widely-read. But I’m a newbie, too, so every post is a learning experience.